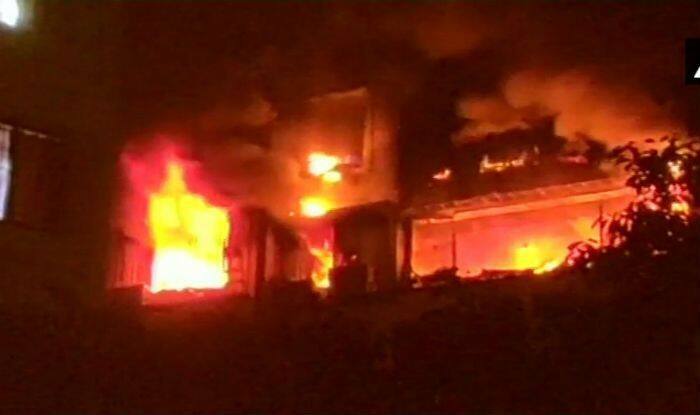 The massive fire engulfed 22-storey building in Dhaka. This is second major blaze incident in the capital in a month. Dhaka: With the death of 19 more people, the toll from the deadly fire at a high-rise office building in Bangladesh’s capital rose to 25, fire officials said. A massive fire engulfed a 22-storey building in Dhaka’s posh Banani area on Thursday, in the second major blaze to hit the capital since last month. The incident, in the building that houses several garment shops and internet service providers, left several people trapped inside as the blaze spread to two adjacent buildings. Nineteen bodies were recovered from inside the building. A total of 25 deaths have been confirmed and the number of people injured are 76 in the deadly fire that broke out at in Dhaka’s Banani area, a fire service official was quoted as saying by the Dhaka Tribune. The injured are now being treated at Dhaka Medical College Hospital’s burn unit. The Fire Service Duty Officer Mizanur Rahman claimed the fire was brought under control at around 4:45pm on Thursday. Hundreds of people have been rescued from the building, the report said. Fire Service Deputy Director Dilip Kumar Ghosh said that several people had panicked and leapt from the building, which led to the increased casualties. At least six of the killed, including a Sri Lankan national, died after they jumped off from various floors of the high-rise building for safety. The building had narrow staircases, and lacked firefighting capacity. It is also of note that the building reportedly caught fire over a decade ago in 2008, Ghosh said. Fire officials said the blaze erupted on the eighth floor of the building and gradually went upward engulfing ninth, 10th and 11th floors, but could not immediately say what sparked the inferno. Five military and air force helicopters were deployed to drop water on the blaze as flames and thick black smoke poured out of the windows. On February 20, at least 70 people were killed and over 50 injured when a fast-moving fire swept through an apartment buildings and chemical warehouses in Dhaka’s congested Chawkbazar area. In 2012, a fire at a nine-storey garment factory near Dhaka killed 111 workers.